Good. 0140150358 COVER DIFFERS TO PICTURE. Very Good. 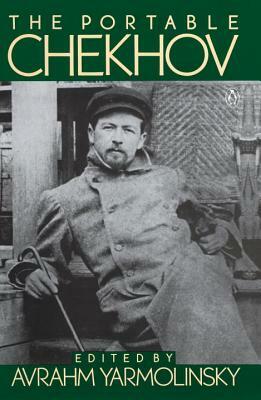 This text includes 28 stories from Chekhov, including: "The Man in the Shell"; "Goosberries"; "The Darling"; and "The Lady With the Pet Dog". A selection of letters is also included. Trade paperback (US). Glued binding. 640 p. Viking Portable Library. Good. This text includes 28 stories from Chekhov, including: "The Man in the Shell"; "Goosberries"; "The Darling"; and "The Lady With the Pet Dog". A selection of letters is also included. Trade paperback (US). Glued binding. 640 p. Viking Portable Library.